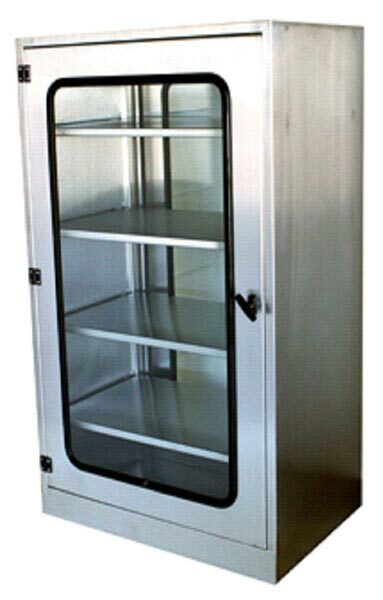 Stainless Steel Laboratory Wall Cabinet that we offer comes with sliding door and mid shelves. The stainless steel used to manufacture Laboratory Wall Cabinet is quality approved and is procured from the most reliable sources of the market. We are named among the renowned Exporters and Suppliers of Laboratory Wall Cabinet. We are efficient enough to process retail as well as bulk orders for Laboratory Wall Cabinet even at short notice period.